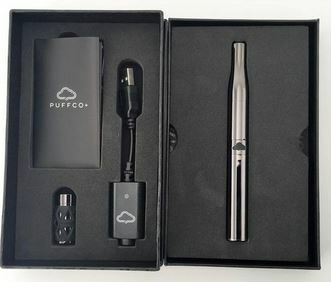 The Puffco Plus is one of the highest rated wax vape pens available in the market, and it is expected to continue to dominate the industry throughout 2019. It’s distinct from the original Puffco Pro vape pen in that the Puffco plus utilizes an entirely ceramic coil-free heating chamber which produces amazing cloud quality. 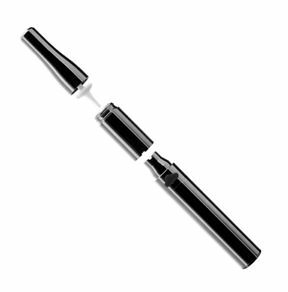 There are a number of other qualities that also bring this vape pen to the forefront. The Puffco Plus is classified as affordable, as it currently carries a price tag of $89.95. This is a pretty stellar deal if consumers consider that the Puffco Plus acts not only as a vaporizer, but also has the capability to function like a miniature e-nail rig. Although, there are many cheaper competitor vape pens, the Puffco Plus is by far the best. The company, Puffco, was formed in 2013 and it has been continuously churning out innovative and high quality vapes over many years. The Puffco brand is known to be trustworthy, and health conscious, as they were the first business to eliminate fibrous wicks, glues and other hazardous materials from their products. The amount of time to prep the Puffco Plus for use is virtually nothing. First, be sure to charge the device via the USB charger, and then remove the mouthpiece to reveal the built in loading tool. From there, go ahead and load the concentrate, and turn the device on by clicking the button five times quickly. Heat up time is ultra-fast (12 seconds in sesh mode!) and users are free to choose between three different temperatures including 580 degrees (green), 650 degrees (blue), and 720 degrees (white). The vapor quality of the Puffco Plus is the jaw-dropping kind of good. The coil-less ceramic bowl, air ports, and unique design all work together to make dabbing a delicious, revolutionary experience. The clouds produced by this bad boy are dense, cool, and flavorful, and it’s bound to satisfy even the pickiest customers. The Puffco Plus is the ideal size for concealing in one’s purse or pockets. It is very portable, easy to use on the go, and overall appears rather stylish for a vape pen. The unit comes in black only with finger-print resistant, glossy finish, and it features sesh mode with a 12 second heat up time for quick and stealthy sessions. The Puffco Plus is very simple to use, and does not require even looking through the manual. The dab tool is literally built in and all users have to do is grab up some wax, and then screw the mouthpiece back on. Reattaching the mouthpiece automatically pushes everything into place, and then the device can be turned on with 5 clicks in succession. Pressing the same button four times with scroll through the temperature setting, and then users can simply inhale, and enjoy. The Puffco Plus primarily utilizes conduction heating, although air is also drawn in through the dart, so there is convection aspect to it as well. The heating chamber will need to be changed every three months or so, since there is no coil. As far as temperature control goes, there are three different settings to choose from, and they are color coded. Green is 580 degrees, blue is 650 degrees and white is 720 degrees Fahrenheit. The 510-thread battery provides about fifty hits on average, and charging typically takes about forty- five minutes to reach full power. That being said the capacity is a bit on the lower end, as the battery is only 520 mAh. Overall, it can be considered a very average power supply for its price point. + The vapor quality is phenomenal due to its use of a coil-less ceramic bowl, and the clouds are dense and delicious regardless of selected temperature setting. + The built-in dabbing tool makes this unit even more portable, and it’s really convenient and easy to use anywhere, and everywhere. 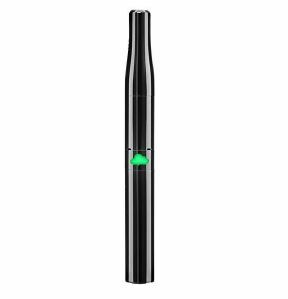 + This vape pen has an attractive build and even though it uses stainless steel material, it is finger-proof resistant, which is a great touch. + It comes with three different temperature settings, and one of the best features on the device is sesh mode, which gives one of the fastest heating times ever seen – only 12 seconds! + The price is cheap in relation to the brand, and high quality that consumers are receiving with the Puffco Plus. + The heating chamber has to be replaced every three months due to the fact it’s coil-free. Customers that don’t enjoy changing parts may want to select a different product. + The battery is only 520 mAH which is very ordinary, and nothing to brag about. The Puffco Plus is one of the best wax vape pens of 2019 due to its tasty, perfect cloud production, coil-free bowl, instant heat up with sesh mode, and its gorgeous design and simple facility of use.